Planning applications: What is being built where you live? Prune one tree (Tree Preservation Order): Mytholm Court, Mytholmroyd. Demolition of out house and wc’s to facilitate detached garage, bi-fold doors and patio to rear (Listed Building Consent): 17 Towngate, Hipperholme. Demolition of out house and wc’s to facilitate detached garage, bi-fold doors and patio to rear: 17 Towngate, Hipperholme. Dormer to rear (Lawful Development Certificate): 9 The Gardens, Halifax. Change of use of all floors of property from chemist (Use A1) to hot food takeaway with ancillary storage (Use A5) with front and rear dormers (Revised scheme): 51 Hanson Lane, Halifax. 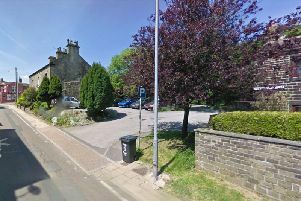 Two storey extension to side, single storey extension to rear and demolition of existing garage and outbuildings to facilitate detached garage/office (Revised Scheme to 16/00319) (Amended scheme to extant approval 16/00316/HSE): 9 Laverock Lane, Brighouse. Fell two trees (Tree Preservation Order): Land At Allotment Gardens, Rochdale Road, Triangle. Detached dwelling to replace unbuilt dwelling approved on application 91/01091: Land To North East Of Springwood, Duke Street, Todmorden. Prune one tree (Tree Preservation Order): 1 Ridge Lea, Brighouse. First floor rear extension and loft conversion: 85 Meadow Drive, Wheatley. Single storey rear extension with balcony over. Garage conversion with bay window to front. Retaining wall and altered levels to rear garden: 30 Cedar Grove, Bailiff Bridge. Three dwellings: Clarehill Coach Road, Ripponden. Single storey extension and dormers to front elevations: 25 And 27 Rhondda Place, Halifax. Detached dwelling and garage (Revised Scheme to 17/00866/FUL): Land South East Of 160, Warley Road, King Cross. Formation of new stone and timber access tracks to connect to existing stone tracks, including passing places and turning circle: Land At Coordinates 396528 435776 Widdop Road, Heptonstall. Change of use from existing use (A1) at lower ground, ground & first floors to form drinking establishment use (A4) - Revised scheme to include first floor area further to approval 17/01266/FUL: 78 Saddleworth Road Greetland. Three internally illuminated fascia signs, one non illuminated sign and four poster frames (Advertisement Consent): Unit 4 Crossley, Retail Park Pellon Lane, Halifax. One internally illuminated fascia sign, one internally illuminated projecting sign and one non illuminated fascia sign (Advertisement Consent): Trafalgar Inn, Aachen Way, King Cross Halifax. Variation of condition 1 attached to planning application 16/01652/FUL: Land North Of Garages, Rooley Heights, Sowerby, Sowerby Bridge. Non illuminated fascia sign (Advertisement Consent): Unit K1 Lowfields Business Park Lowfields Way, Lowfields Elland. Submission of details to comply with conditions to permission 15/01205. Nos 6, 12, 14, and 24- 27: Former Elwood Care Home, 95 Bracken Road, Brighouse. Rebranding exisiting external signage (Advertisement Consent): Morrisons, Rochdale Road, Todmorden. Demolition of existing extension and construction of new side and rear extension (Revised scheme to 17/00763/HSE): 37 Ashfield Road, Greetland.